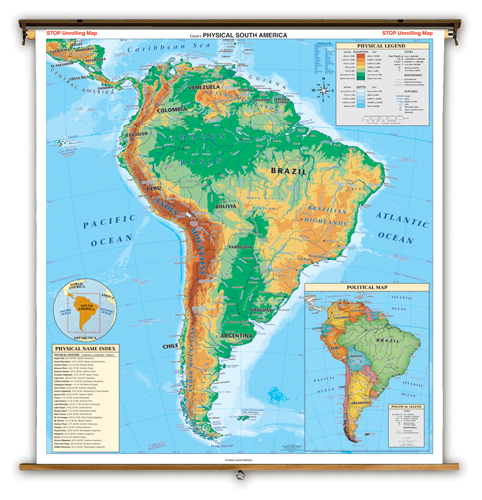 A Physical Political Map of South America shows the variety of land elevations on the continent. A world locator inset map shows South America's relative location to its neighbors on the globe. 51 inch x 51 inch . Markable. Five land elevations and two water depths shown. Natural coloration. Mounted on spring roller with backboard and end brackets.